Healthcare is the topic of today. It's likely to remain that way for some time to come. We are learning more and more about the Affordable Care Act, aka Obamacare, while we know little about Republican alternatives. Some question if Republicans have an alternative. There are some Republican alternatives which range from lifetime health savings accounts to simply letting the free market take over. As long as we have Medicare and other federal insurances we will never have a free market in healthcare, for that reason simply leaving it to the free market isn't a plan. Federal health insurance mandates guidelines for treatment. Medicare is a topic unto itself. For now let's talk about an answer for when Republicans are ask what do they suggest other than Obamacare and Medicare. People won't settle for broad replies that point to no clear plan. How should a Republican deal with healthcare? The first step would be to remove the federal government from the loop. If we leave such things as Medicare or Medicaid solely to the state that at least removes federal involvement. Even state run insurance leaves some free market because there is competition among the states. Since 1735 when the first insurance company was started in Charleston, SC, insurance has been a product operated within a state. In 1869 the state of New York appointed the first insurance commissioner. It wasn't until 1944 when SCOTUS got involved and declared through the commerce clause that the federal government could regulate insurance. It wasn't until the 70's that federal insurance began its existence. Employer based insurance began during World War II because of a freeze on wages—again a result of government action. Because companies couldn't lure potential employees with higher wages, they began offering medical insurance. President Lyndon B. Johnson signed the Medicare and Medicaid programs into law in 1965. Since that time medical cost have risen dramatically. Today we all know the cost and hassle of medical treatment. In some sense fixing the system is fairly simple, but not as simple as many Republicans make it out to be. We first must look at things that drive up cost. The biggest might be that the medical system is afraid of lawsuits. They must also deal with too many different insurance companies, all making different demands dues to state regulations. Some believe that single payer, socialist style medical care would eliminate many of the problems. It does, but with it also comes a new set of problems, such as low quality treatment. A nation attracts the best and brightest doctors by paying them well. Top level medical equipment is expensive. Research is probably the most expensive tool of them all. For social medicine to work we would have to settle for less than the best in doctors, or even face a shortage. Research money would dry up because there would not be profits like in the past. The free market and a desire for profits drives competition. It's for this reason the USA has the best medical facilities in the world. Because of federal and state regulations the free market cannot do what it does best, which is breed competition that results in lower prices. We can look back at the old Bell Telephone System. Most families couldn't afford to make a long distance call. Once the monopoly was gone and competing companies took over, long distance rates dropped dramatically. Single payer insurance is simply another monopoly. When we hear Republicans talk about lifetime medical savings accounts they don't address for that to work the entire system has to be fixed. Until regulation and insurance companies took over, people paid out of pocket for medical services. When we pay for something out of pocket we look at the service and choose the best bang for the buck. When we have a giant insurance company, or government, paying the way we demand the best, even when the best isn't needed. Competition can lower medical cost. Here is an example. In my area a company wanted to build a new hospital. It took them years to get approval from government because a competing hospital didn't want the competition. Why should anyone have to ask to build a hospital? Why should a doctor have to pay fees to open an office in your area? I know many don't remember the gas wars of the 60's. One station would lower its rates and then others would be forced to do the same. This often began price wars until gas was drastically cheaper. We have seen similar happen with cellphone rates. Every company is competing for business. This happens only when there is no, or little, government regulation. The same could happen with healthcare cost. Now that we have the free market working we must look at tort reform. Today it can cost an independent physician $250,000 a year for insurance. That expense is passed on to the patient and/or insurance company. The country is founded on tort and is a necessary part of a free society. The problem comes with frivolous lawsuits. Doctors will make mistakes as do all humans. Unless it was pure negligence or intentional they shouldn't need worry about lawsuits and think only about patent care. Until risks of lawsuits are resolved, medical cost will never be reduced. If you want true harm done to the healthcare system invite federal interference. The only way to lower cost is to have a true free market. Until recent years, especially in the south, few people had dental insurance. Often procedure prices were kept low enough most people could afford, at least, basic care. 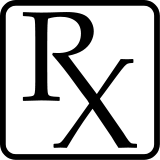 One huge expense is that we must rush to a doctor every time we need a new prescription for medication. This cost has been reduced somewhat by use of physician assistants. Many of today's drugs could easily be sold over the counter. We can't say that many drugs are too dangerous for OTC because doctors pass them out like they are candy. Most of today's addicts are taking doctor prescribed drugs. We know that antibiotics are being needlessly handed out for viruses. None of the current healthcare proposals answer these problems. Few are telling in detail how the free market can work to reduce healthcare costs. Republicans and libertarians alike offer people only summary alternatives. People might not typically pay much attention to what government does, but they are well informed about healthcare, even if they don't understand the economics. This is one area politicians can't treat citizens like they are ignorant. The people pushing ACA took Americans for granted and didn't planned what's best for all, but for the few with desperate needs. Voting "None of the Above"